Simple and quick text based story maker. Impressive. I could barely finish my game. Very sweet, man! Nice work. My character is always moving down-right unless i keep pressing the arrows. You not only fight against the bats, but against the controls too. Is that on purpose? Very very very very very very very good game! Congrats! That's weird. I've tested it live many times through wifi, same local network, internet, etc, and never had serious lag issues or disconnects. If you play other games, those work okey? Try executing the jar through the command line and see what errors you get. Start a new game, give your ip to your friend and have him join a game with that ip. If you're behind a router or firewall, ports TCP 2596/UDP 2597 must be open. Post more information. Maybe a video of the gameplay. Download button isnt working. Says the game will download shortly, but nothing happens. Very nice Resident Evil feel. Played it through, and it's great. Great sound effects, specially for the guns and bullets. Music would make it a little bit nicer. It's a great game. I can't play it! I tried several times changing the inputs, but the bike just stands there. I can use the mouse to select the race, but i can't make the bike move. Nice! Check out my version. Great. I expect a whole game out of it. Or with same gameplay. I wanted it to be the most look-alike to the original as possible. Thanks. Hope you can play it and enjoy it. 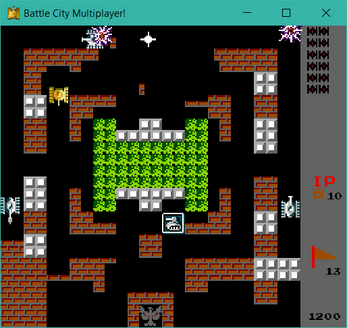 I want to present to everybody my version of the classic "Battle City", now with TCP/IP support so you can play with whoever you want, whenever you want! Connect as many players as you like (poorly tested with more than two players). 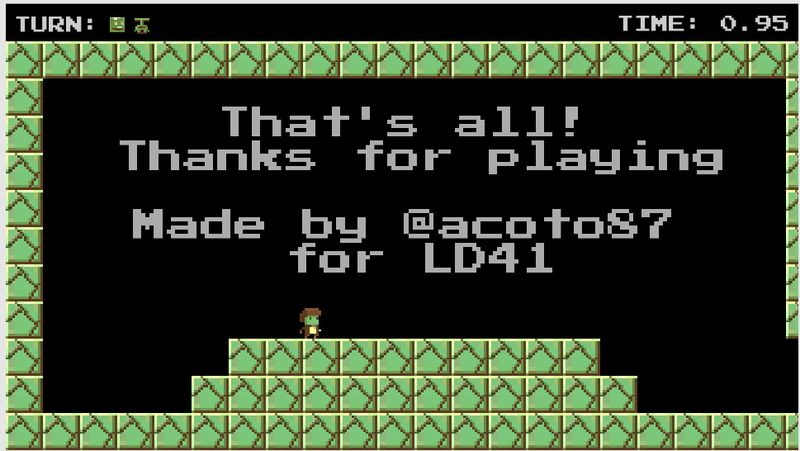 Level editor (in a separete download). Toggle friendly fire to be deadly. 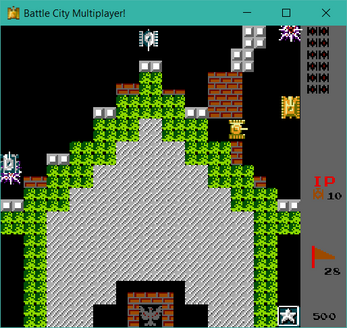 Select the number of lives per player. Custom arcade or deathmatch maps. Great! I really liked the gameplay. Great game! The AI plays really well so it's challenging and it's very well presented. Congratulations! Excellent overall. I will definitely donate toward the development. Great! Keep making new murders, that would be interesting. I just wanna point out that the dialogue sequences get annoying after replaying the game a few times. Maybe if you can find a way to gracefully cut to the chase or just skip faster some parts of it. The game is great. It has good potential. It's simple and straight to the point. I will keep playing it for sure as i want to explore everything it has to offer. Really liked the game. Will wait for new content as adding my own executive orders is not as fun. Haha! Let's Chat 2 community · Posted in Is there more? That's why i disable my microphone and camera from Windows. Haha.